PEORIA, Ill. (Sept. 5, 2017) – RK Dixon, a leading provider of copiers, printers, IT services, managed print services and pure drinking water systems, is inviting Peoria and Bloomington area non-profits to enter the Make My Non-Profit Run Better contest for a chance to win a portion of $60,000 in office technology prizes. The contest – now in its 12th year – is designed to ease the challenges of operating a non-profit organization and give groups the opportunity to focus more exclusively on their mission and the people they serve. This year’s contest will focus exclusively on the Bloomington/Peoria region. Non-profit organizations in Fulton, Livingston, Marshall, Mason, McLean, Peoria, Stark, Tazewell and Woodford counties are eligible to participate in the contest. Entrants will be categorized as either a “large” and “small” non-profit, based on annual revenue, to help create a more level playing ground among all the registered groups. At stake are office technology makeovers and equipment packages that are designed to make the non-profits run better and – as a result – enhance their ability to focus on their mission. The office technology makeover prizes may include, but are not limited to: a black-and-white copier, a color copier, a printer, multifunction systems, IT services and water purification units. Registration for the contest opens today at www.RKDixon.com and will close at 5 p.m. on Sept. 28. Round 1 voting begins on Sept. 29 when the public will be invited to vote online for the non-profit with the biggest need for an office technology makeover. 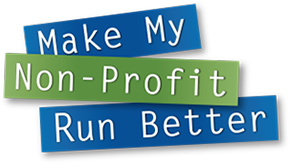 Last year’s Make My Non-Profit Run Better contest awarded Boys & Girls Clubs of Central Illinois in Springfield, Ill. a $30,000 office technology makeover and Saint Mary School in Taylorville, Ill., a $15,000 makeover. Prairieland Service Coordination, Inc. in Decatur, Ill. was named the runner-up in the large category and The Midwest Mission Distribution Center in Chatham, Ill. was named the runner-up in the small category. For more information about the contest or to receive a high-resolution contest logo, please contact Darren Garrett, marketing manager at RK Dixon, at 563.823.6365.